Spring is a time of new life. Easter has always held a special place in my heart because of what it means to my faith. But the less-than-spiritual traditions of Easter are special too, because they bring back warm memories of childhood, including dyeing eggs with my grandparents and Easter egg hunts with my brother and cousins. Did you know 180 million eggs are dyed and/or decorated for Easter in the United States each year? That's a lot of eggs! 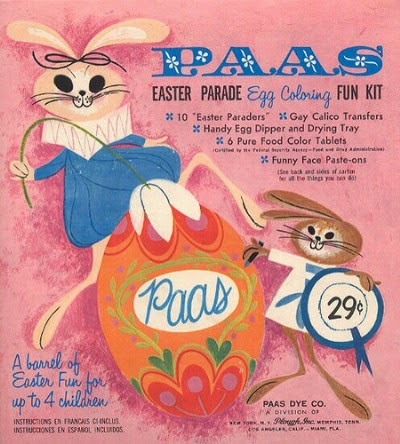 While those old school Paas Easter Egg Decorating kits were a mainstay of my childhood, I decided to branch out this year with some new Easter egg decorating ideas. I'm joining my friends from Mornings with Fox43 for a segment on Fun and Simple Ways to Decorate Eggs for Easter. These methods are fun and affordable and don't require lots of crafting skill...so you gotta love 'em! I've seen this project floating around on a few different blogs, but I've been so skeptical about it...until I tried it for myself. My silk dyed eggs turned out really beautiful. And believe it or not, this was fairly simple. Begin with a raw egg (no cracks). Wrap it tightly in a scrap of silk and tie with a bread tie or rubber band. Then wrap this in a square of white cloth and secure with another bread tie or rubber band. Place the wrapped egg in the pot and cover with water. Add a splash of vinegar. Bring the water to a boil and let it boil for 20 minutes. After 20 minutes (or so), remove your egg with tongs and place in cold water. When it's cool enough to handle, unwrap and voila! In case you're thinking "Silk? Didn't she say this was affordable?" the answer is your local thrift shop. I found a gorgeous silk scarf for $.99 and it already had some rips so I didn't feel bad about cutting it up. You can usually find outdated silk ties, dresses or blouses on the ninety-nine cents rack too (I hope your thrift store has a $.99 rack like mine does). Another simple, but really pretty Easter egg decorating project, that was created for less than $5. I snagged a package of six plastic Easter eggs for $.88. Then, using spray paint I already had on hand, I painted each half of the eggs with the loveliest shades of turquoise and gold. I love the way these painted Easter eggs turned out so much. Who says a project has to be complicated to be good? And it's totally up to you depending on your desired color scheme. I wanted one of my Easter egg decorating ideas to be edible, so when I found a Wilton cake pan with egg-shaped molds at a rummage sale, I decided to put it to good use. With a basic Rice Krispies Treat recipe, I created egg-shaped treats and decorated them with store-bought frosting and candy. Super easy and fun for all ages. You could even leave the eggs un-decorated until Easter and let your family decorate them together. If you don't have an egg-shaped pan, you can always shape them by hand or use plastic Easter eggs as a make-shift mold. 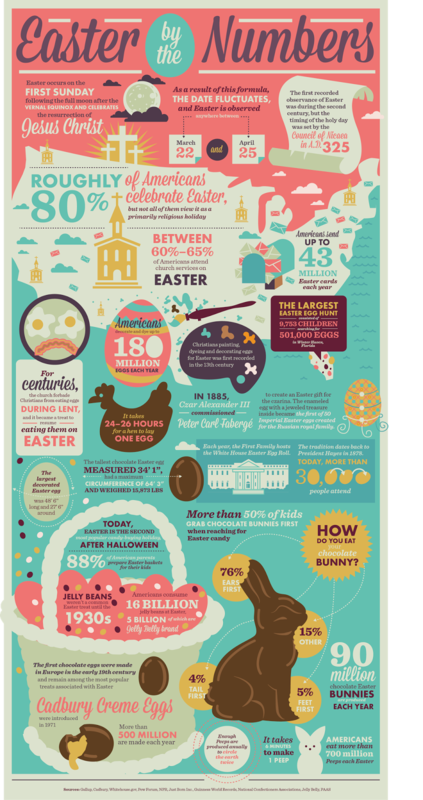 For more fun Easter facts, check out this infographic from The History Channel's website. Do you eat your chocolate rabbit ears first?